Let All Green Recycling be your ultimate partner in responsible recycling. Don’t throw all your tech devices away, instead choose our IT Asset Disposition Programs to manage them well. A certified Electronics Recycling system is what our company can guarantee. We know what to do with your end-of-life IT equipment. Let All Green Recycling provide you peace of mind and convenience by recycling, remarketing, and even letting you reuse your device/s. Destroying sensitive and confidential information is our expertise. We are doing this to protect your business brand. You can count on us when it comes to providing reliable business protection. Don’t let recalled products destroy your brand. Unlike other e-waste products, IT equipment contains sensitive information and data that can ruin your identity and even your business. Preventing it from happening is vital. That’s why you’re encouraged to practice a responsible recycling system wherein all disposable tech products, like laptops and mobile phones, will rightly be disposed of, instead of being dumped in the landfill areas anywhere in the country. One company that excels in this field is All Green Recycling. We’re in this industry for many years now. Trying our Electronics Recycling Jackson Services is, therefore, the right thing do if you want proper disposal of your electronic waste. Follow the link button given below for you to schedule an e-waste pickup service. 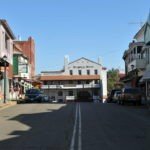 This is the county seat of Amador County, with a recorded population 4,651 according to the census conducted in 2010. There had been an increase in the population figure as compared to the number of residents (only 3,989) in the year 2000. Both State Route 49 and State Route 88 provide access to the entire city. Secure ITAD process is quite important as far as protecting your business is concerned. You have to be very careful in dealing with your EOL electronic devices because if you can carelessly dump them somewhere else, the tendency is you will be fined by the government, or you can suffer from other forms of financial losses. Identity theft is one common problem associated with the careless throwing of any device when not used anymore. You can now schedule a pickup service or try to locate one of our nearest drop-off locations here. The environment has been suffering due to the presence of metallic elements present in computer gadgets and products. Once your laptop is old, you tend to buy a new one. What do you have to do with the old one? 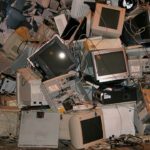 You need to call our attention because we have to work together so that your old computer unit will not be deposited in the landfill. Contact us today for more information about All Green Recycling.